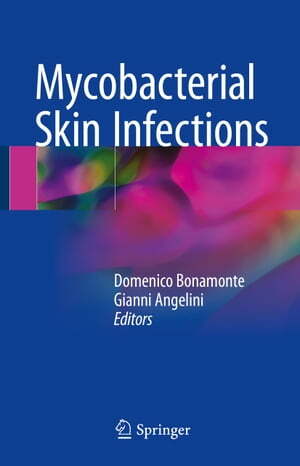 Collins Booksellers - Mycobacterial Skin Infections by Domenico Bonamonte & Gianni Angelini, 9783319485386. Buy this book online. This well-illustrated book is a comprehensive guide to the cutaneous clinical presentations of mycobacterial infections. The Mycobacterium genus includes over 170 species, nontuberculous mycobacteria (NTM) having been added to the obligate human pathogens such as M. tuberculosis and M. leprae. NTM are widely distributed in the environment with high isolation rates worldwide; the skin is a major target with variable clinical manifestations. A current resurgence in tuberculosis is aggravated by the synergy with human immunodeficiency virus, the breakdown of health care systems, and the rise in multidrug-resistant disease, as the incidence of leprosy remains stable, at around 250,000 new cases annually, regardless of effective antibiotic therapy. Presentations of various cutaneous infections caused by mycobacteria may be overlooked by clinicians owing the lack of familiarity with tuberculosis, leprosy, and the related NTM clinical features. This handy guide will help the dermatologist to spot the different clinical manifestations, make a prompt diagnosis, and apply effective treatment.